Mark's preamble: Before opening Mostly Books, I would never have thought of joining a bookgroup. 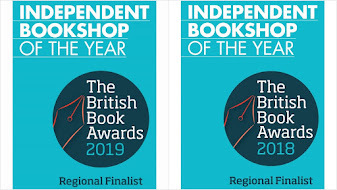 Yet running a bookgroup, which has met every Thursday at 7pm almost continually for the last six years, has been one of the highlights of my bookselling life. Aside from the camaraderie, the cut and thrust of debate and the sometimes ‘robust’ opinions that fly back and forth, to watch two people, both equally well-read, knowledgable and passionate about books, have two completely different opinions about a ‘good’ book allows you to move past your own prejudices about a title or genre. It teaches you that the way you read a book – all at once, in chunks, when you are tired, or down, or busy, or if you come to a book with high expectations, or even no expectations – all influence how you will enjoy it. It also teaches you tolerance about books that you may not ‘like’, to examine your own feelings about reading. It allow you to enjoy a book on different levels – rather like a bag of chips versus a gourmet meal (and it’s nice to do both occasionally). The first thing to get past was the violence. There are some sensitive souls in the group, and even I blenched a bit at a particularly gruesome bit of violence (involving someone’s skull) at the start of the book. But most of the group were surprised at how much they enjoyed the novel – or at least were compelled to keep reading – despite this. In fact, we did have quite a discussion about the level of violence in the wider society at the time the book is written (the American Gold Rush) and this led on to America, violence and guns in general. I had printed out an interview that author Patrick deWitt had done for Granta, and he feels this was never a point he was trying to make in the book, but does seem to come up outside America – but never in the country itself. Most agreed that the quality of prose was very high – and that the plot was gripping. Most were struck by the ‘filmic’ qualities of the book – and a few directors names came up: The Coen Brothers and David Lynch. Dewitt has obviously acknowledged his debt to movies – there’s even a couple of ‘intermissions’ in the book – and again, it is interesting that the book apparently grew out of a series of dialogues between key characters that he wrote when starting the book. The way the book was typeset even reminded us of a film script at times. We were searching for what books may have served as inspiration (in interviews, authors can sometimes provide a list of inspirations which leave out a main title!). Suggestions included Of Mice and Men (Eli, the younger brother, reminding one of the group of Lenny), Candide (the heightened reality, even surreality, of some of the settings), The Ned Kelly Gang and even the representation of Eli as a male Fanny Hill: someone who had a dawning realisation of the moral problems of the life he led and thus setting out to make changes. For those that really enjoyed the book, however, the heart of it was the relationship between the two brothers, and even though there was some doubt about the ‘literary descriptions’ as seen through Eli’s eyes (given his background), the voice of Eli was good, and the relationship well characterised and very enjoyable. Most of us really enjoyed the humour (once we could push past the violence) and we dwelled for some time on just how deep the novel was supposed to go beyond just the story. I was very taken with the number of metaphors in the book (environmental destruction, the ‘Commodore’ representing political corruption, and even Eli himself as a very modern man – with his tooth powder and desire for ‘light bites’ at meal time, his care for animals). There was even a signifier to the general state of society –the unnamed weeping man – but ultimately the novel delivers a large dollop of redemption by the end. (Nicki’s bookgroup also read the book for their bookgroup, and one of the points discussed there was the skill in which Eli ‘resolves’ the problem with the Commodore at the end, without the bloodshed and recriminations that might have resulted had his brother taken the lead. This is Eli’s triumph in working out a different path). Ultimately Eli represents a moral force, and his influence and power, partly because of what he thinks, partly the actions he takes – grow as the book proceeds. Everyone saw this as a very American book (the end point of going home to ‘Mom’, the desire to be self-reliant), were themes that perhaps didn’t seem so important to British readership. One of the group made the comment that some of the descriptive pieces seemed ‘imported’ from elsewhere (such as the San Francisco harbour scene, with the boats abandoned due to the Gold Rush) and the opinions of the group ranged from ‘didn’t really get into it’ through to ‘one of the best reads we’ve ever done’. But overall, a very positive response and a book that pushed several people out of their comfort zone. 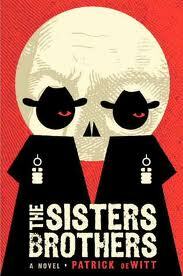 The Sisters Brothers is by Patrick deWitt, and published by Granta Books, and is available for £7.99 from Mostly Books, or as an eBook here. 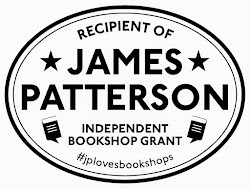 (Are you looking for recommendations for yourself or for your own bookgroup? Would you like to have us recommend something as a gift? For more information, take a look here). I was very moved by this book. The brothers themselves, and then Eli--dear Eli! And his concern over his weight and how to brush his teeth! The most endearing assassin ever. An amazing quick read, and I didn't want this adventure of sorts to end. This book is a true journey through the wild west with many intricate characters and bizarre happenings along the way, all equaling the perfect read for this summer.